Because we understand the importance of gatherings following the Celebration of Life, we are now offering the convenience of catered luncheons and receptions for our families, giving friends and family an opportunity to laugh, to cry, and to begin the healing process together. 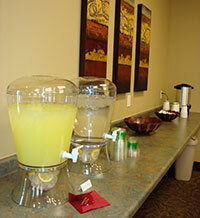 Please contact us to request the current catering offerings available. Many families feel they cannot leave once visitation has started. 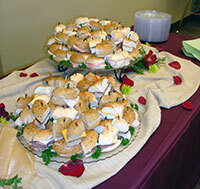 Our sandwich trays offer a variety of choices and allow your family to remain together and eat at their leisure. Many Churches in our area provide full funeral lunches, others may only provide the facilities and you bring the food. 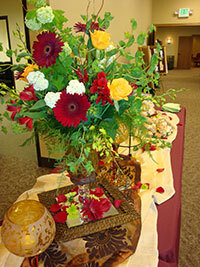 We will work with any caterer to assist the church volunteers with any food services and cleanup needed. We will be happy to reserve and secure your luncheon with the church as well. During nice weather, many families choose to serve their funeral luncheons out of doors. We offer a variety of catering services that may include tents, chairs & tables or if you prefer we can arrange for a pavilion rental at a local park.